Hi there ! Welcome ! 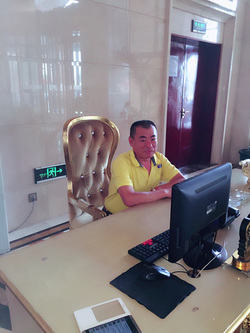 I am Mr.Ping , the manager of Mutianyu Great Wall tours . ​Tour guide life make me enjoy to recognize new people and like to share the Beijing interesting places with you . I believe you will never forget and regret the trip experience here . We make every effort to provide quality services with reasonable prices. Our professional team will make your stay in Beijing and other parts of China both enjoyable and memorable. We also welcome our potential partners to join us and grow together! Free Itinerary Design; Quick reply in 24 Hours; Worry-free & One-stop Service; Trustworthy Tour Operator in China! The Great Wall of China, the longest man-made object on earth, is a top UNESCO World Heritage Site in Asia and a requisite for any trip to mainland China. Read these interesting Great Wall of China facts before you visit; you may appreciate the impressive structure even more! The Great Wall of China is an absolute must-see when visiting China. The Great Wall winds its way across China covering over 4,000 miles (6,700km). While the latest construction occurred after 1368 during the Ming Dynasty, construction of the Great Wall began over 2,000 years ago. In fact, the Great Wall is actually made up of a number of interconnecting walls spanning China that different dynasties and warlords constructed over the years. More on the history of the Great Wall from Travel China Guide. We are not just a travel website, we are a real and reputable travel agency based in Beijing offering help and advice that a travel website cannot provide. Just send us an email or give us us a call, one of our staffers will be your personal travel consultant who prepares you a personalized trip based on where you want to go and what you want to do in China. Any problems during your trip? Want to cancel or change your trp? Your travel consultant is a phone call away from getting your problem solved. You will get answer within 10 hours.